Save AED 10 (34.48%) – Earn 2 Shukrans What is Shukran? Shukran is the Landmark Group’s award-winning loyalty programme in the Middle East, which allows you to earn Shukrans when you shop any of our brands. 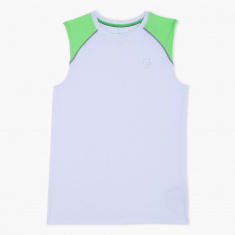 Promise an element of class to your kid's regular wear closet with this t-shirt sporting a sleeveless make. 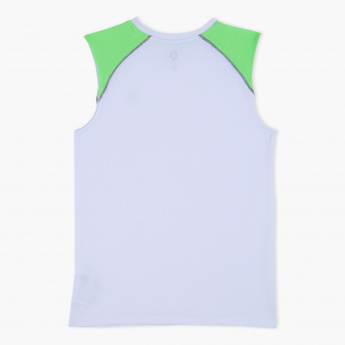 Using contrast-coloured panels to highlight the shoulders, this t-shirt will pep up your baby's look.